I was very late in the day coming to the Susan May case. It wasnâ€™t until September 2012 that I contacted Susan with a view to writing an in-depth newspaper feature article about her case. We corresponded in the following months and spoke on the phone a handful of times, but then the proposed feature article on her case was delayed as Susan wanted to wait until new forensic evidence being considered by a leading European expert was put before the Criminal Cases Review Commission (CRRC). In February 2013, I contacted Susan again to see how she was doing, and sadly she told me that her cancer had returned, she was having tests, and that she would be in touch as soon as she knew what was going on. In November 2013, I read Susanâ€™s obituary online and, although I had never met Susan face-to-face, I was deeply saddened. The sadness of rage: at the injustice done to her, and that she hadnâ€™t lived to see her murder conviction quashed and her name cleared. When I listened to Susanâ€™s memorial service online, I cried as one of her stalwart supporters, the Guardian Prisons correspondent Eric Allison, read Susanâ€™s favourite poem The Owl and the Pussycat. Since giving up her job as a hairdresser in 1990, Susan May was the sole carer for her elderly mother and 83-year-old aunt, Hilda Marchbank, and visited Hildaâ€™s house, near Susanâ€™s own in Royton, near Oldham in Greater Manchester, several times every day, preparing meals and generally taking care of her. On the morning of 12 March 1993 at 9.30am, Susan found Hilda murdered, brutally battered about the face and suffocated, with her nightdress around her waist. Drawers both upstairs and downstairs had been pulled out, the contents scattered all over the floor. When questioned by the police, Susan said that she thought that Hilda had been murdered by burglars. It certainly did look that way. And later, some of Susanâ€™s late uncleâ€™s Masonic memorabilia and a chequebook belonging to Hilda were found dumped in a skip nearby. This illuminating fact was not disclosed at Susanâ€™s trial. Susan was as helpful as she could be to the police, and gave her fingerprints several times - three blood smudges had been found on the wall of the downstairs room where Hilda slept and was found, one of which had the fingerprint and palm print of Susanâ€™s right hand, and another an unidentified left hand fingerprint. The prosecution said that all three were human blood. Another key question would be whether these smears were made at the time of the murder, or were old marks. Three expert witnesses would be consulted regarding these blood smears - Michael Davie said that there was no wet blood around at the time the body was found, so the marks were not made at that time. Wilfred Basley, a forensic scientist, said that just one of the smears was human blood, and Susanâ€™s prints were not on that one. Javaid Hussein (actually not a blood expert, but a fingerprint detection and enhancement expert) said that all three marks were either human or animal blood, and that there was no conclusive evidence whether the marks were made at the same time. Forensic students at Paisley University also analysed the smears, and they concluded that other biological products, not blood, could produce the same effect. I interviewed Michael Meacher MP in his office at Portcullis House next to the Houses of Parliament in late October 2012 about Susanâ€™s case. Mr Meacher, a former minister, is also Susanâ€™s constituency MP and was a staunch supporter, tabling an early day motion in an adjournment debate in the House of Commons on her behalf, and he stressed how crucial this â€˜bloodâ€™ evidence is in upholding Susanâ€™s conviction. â€˜This really matters. Was it blood, and if so, was it a fingerprint and whose was it?â€™ Mr Meacher also stated that Susanâ€™s case â€˜ultimately hinges on the forensic evidenceâ€™. It was this disputed blood smear evidence that was being reassessed by a leading European expert when Susan sadly died. Those MPs include Michael Meacher, John McDonnell (who set up the Parliamentary Friends of Susan May after her second appeal failed in 2001), Diane Abbott, and the late Tony Benn. So there has been no shortage of heavyweight support for Susanâ€™s case. It was put forward by the prosecution at Susanâ€™s trial in April 1993 that Susan had made a comment to a Det Sergeant. Janet Rimmer of Greater Manchester Police said that Susan had asked her on leaving the police station one day whether the police could get forensic evidence from under Hildaâ€™s fingernails, with the insinuation that Susan was concerned that her own skin cells and therefore DNA could be found there, if Hilda had tried to defend herself. Susan always adamantly denied saying any such thing. This is circumstantial evidence, but such a character assassination can sway a jury. Susan told me that a retired detective who had looked into her case for her said that this sounded like â€˜verballingâ€™. What was not disclosed at the trial was that foreign fibres were found in Hildaâ€™s hand. As Michael Meacher confirmed to me, â€˜the police were never able to link them (the fibres) to either Hilda Marchbank or Susanâ€™. Had Hilda grabbed at her attackerâ€™s jacket or sweater and pulled some fibres off? 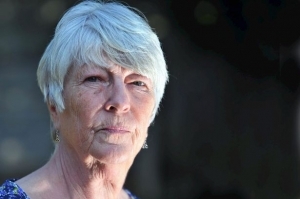 I contacted Greater Manchester Police for an interview about Susanâ€™s case in September 2012, but was told that there were no senior officers who had worked on Susanâ€™s case still in the force. At Susanâ€™s trial, she was represented by a rookie lawyer who had never defended in a murder case before. He advised Susan that she did not need expert witnesses to testify on her behalf, although she was entitled, as she would be acquitted! The prosecution painted Susanâ€™s motive as financial - Hilda was comfortably off and Susan stood to share the inheritance with her sister. Susan, then in her late forties, was in a relationship with a younger man at the time, and the point was raised that she had bought him a Yamaha motorbike and other gifts in order to hold onto him. It was put to the jury that Susan had â€˜drainedâ€™ both Hilda and her motherâ€™s bank accounts of Â£200K between 1986 and 1993, a period of seven years. That must have sounded like a large figure to the chosen twelve. But when you calculate, it is approximately Â£28,570 a year, and out of this Susan had to keep Hilda, her mother and herself - all the food, heating and fuel costs, essential repairs to houses, clothing, etc, etc. Not so astounding after all? Much was also made of the fact that Susan was Â£7,000 in debt at the time of her auntâ€™s murder. Hardly worth murdering for, is it? And it was not stressed at the trial by the defence that Susan had Power of Attorney over Hildaâ€™s money anyway, which is what Michael Meacher agrees is â€˜an important counterpointâ€™. Then there is the incredible evidence uncovered by Eric Allison and his colleagues on the Guardian. A neighbour of Hilda had seen a red Fiesta car near her house on the night of her murder, the engine running. Another neighbour saw it drive away, with three men inside. Two days after the murder, an anonymous caller rang the police and named two men they suspected as being involved in Hildaâ€™s murder. One of the men was a heroin addict named Michael Rawlinson, who was known to the police as a burglar who stole to feed his habit and had convictions for burgling the homes of elderly people like Hilda. Rawlinson had the use of a red Fiesta car which belonged to his sister. This car was sold three days after Hildaâ€™s murder. Rawlinson was described in Greater Manchester Police files as â€˜a good suspectâ€™, but this was never followed up. By then the police inquiry was focused on Hildaâ€™s niece and carer, Susan. Michael Rawlinson was himself murdered in a drug dispute in 2001. Since it passed its November 1999 judgment allowing Susanâ€™s case to go to the Court of Appeal (which rejected her Appeal in 2001 put forward by Michael Mansfield QC while Susan was still in prison), the Criminal Cases Review Commission (CRRC) has been woefully slow in dealing with Susanâ€™s case, despite there being fresh evidence and grounds to appeal to clear her name, now posthumously. Michael Meacher MP put a question in the House of Commons asking for a review of the CCRC, which was set up in 1997 solely to deal with possible miscarriages of justice. Mr Meacher spoke to me in October 2012 about the need for that review of the CCRC, saying, â€˜First of all, we want to know that that is going to happen, and secondly who is going to do it, because that person has to be absolutely thoroughly independentâ€™. When I asked him whether he thought the CCRC was fit for purpose, especially in regard to Susanâ€™s case, Mr Meacher said, â€˜In my view, itâ€™s been going on a long time and, due to the evidence, it should goâ€™. It was recently announced that an inquiry into the effectiveness of the CRRC was being launched by the Parliamentary Justice Select Committee. One hopes that this powerful committee will conduct a thorough and wide-ranging investigation and that, whatever the outcome, Susanâ€™s unsafe conviction will be looked into again. There is no statute of limitations on justice, and Susan truly deserves justice.